I love all of these shades I mostly wear Whimsical as its the most wearable in my opinion. Im yet to wear the dark shade out as I'm not that brave! Though I think the colour would be so lovely for Halloween or a dress up party! 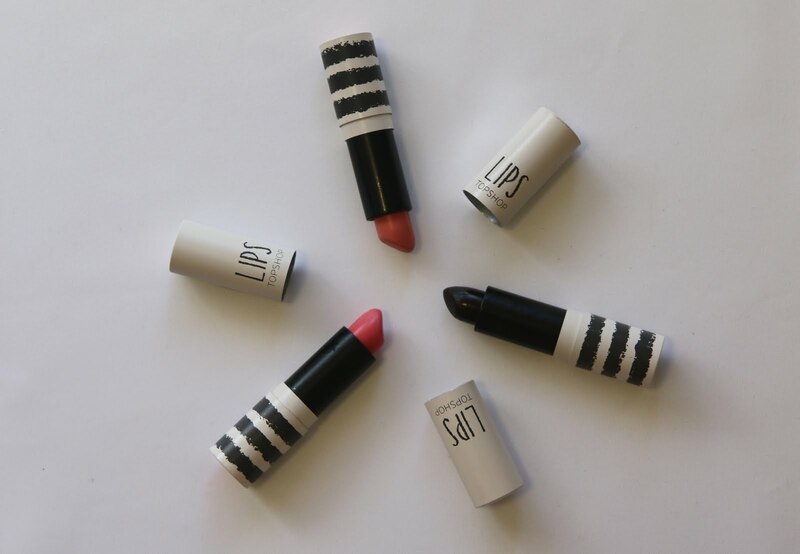 The texture of these lipsticks is great! They are very easy to apply and last a decent amount of time! 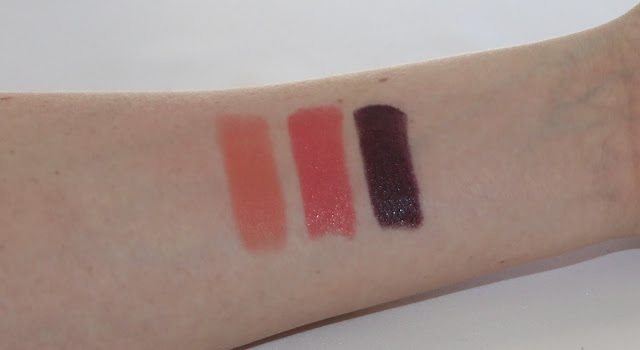 If you are looking something that will last you all day and not budge then these may not be for you but other than that they are excellent lipsticks! The swatch is true to colour! These are nicely pigmented with a nice sheen. They look much brighter and scarier in the tube then when you wear them on your lips. The dark lipstick is not patchy at all which is a bonus because plenty of dark shades can be patchy and gross! I would still suggest using a lip liner as it is extremely dark and hard to get perfect without one! I definitely want to purchase more shades and test them out! They are a lovely lipstick! In Australia these cost $16, which is pretty reasonable for the product you are getting! Have you tried Topshop Lipsticks?